If you're not investing today, you're losing money. Last December 01, I was privileged enough to attend the annual Philippine Life Insurance Congress (PLIC) which was organized by Life Underwriter's Association of the Philippines, of which I'm an official member. In the PLIC, I learned about several things - some of which I've lost track of, because of information overload. Courageous Caitie's parents are firm believers of life insurance. Caitie's parents both believe that life insurance is valuable. When they were still dating, they both opened life insurance policies for themselves, because they believe that life insurance is for protection, and also for setting aside money in the future. When they got married, and blessed with their first child Caitie, they also got a life insurance policy for Caitie to serve as a life insurance + investment fund for Caitie's college in the future. They set aside P1,200/month for Caitie's life insurance plan. I was floored when they talked about her story: she was diagnosed six months after she first had bruises - and the family even had to go to Singapore for the diagnosis since no hospital in the Philippines could provide one! 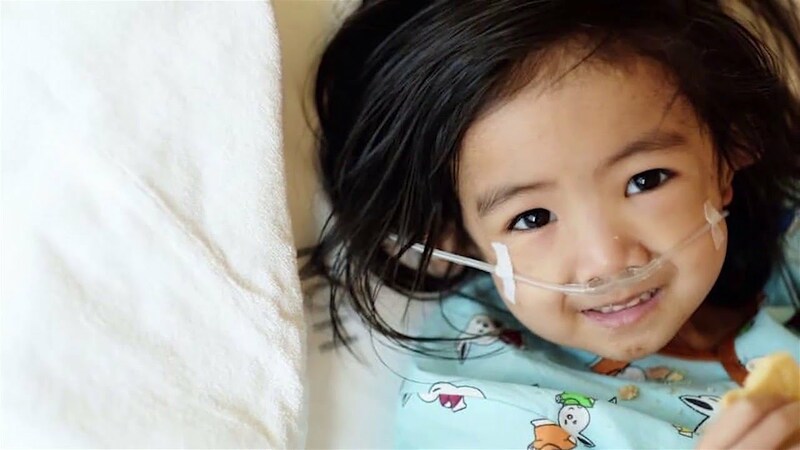 Courageous Caitie was 3 years old when she was diagnosed last March 2016 with juvenile myelomonocytic leukemia (JMML), a rare cancer of the blood affecting infants and toddlers. She passed away on March 31st. Her parents were heartbroken. They were deep in debt. They were about to lose their home. Their son (Caitie's little brother) was about to lose a roof over his head. Then, came the life insurance policy to the rescue. "The P1,200 monthly premium that we paid for life insurance - when we claimed it, the amount is enough to let us keep our house and to help us give a brighter future to our son." I hope you're having an amazing day. Some of you already got a life insurance + investment plan for your child. You're making the right decision - it can also be used for their college fund in the future. To some of you who still haven't - what's stopping you? Caitie's parents set aside P1,200 per month only. You already have your own plan? That covers only you - not your children. Grabe, I said to myself, no parent wants their child to suffer a disease and pass away. No parent wants to bury their child. When her parents got Caitie a life insurance + investment plan, it wasn't because they expected her to get sick! It was for her college fund in the future. Caitie's parents are thankful to life insurance - to the claim they received - because it helped them financially, even though their hearts were breaking. You worked hard for this money - shouldn't your money do the same for you? Protect your family AND invest for the future with Sun Maxilink Prime.